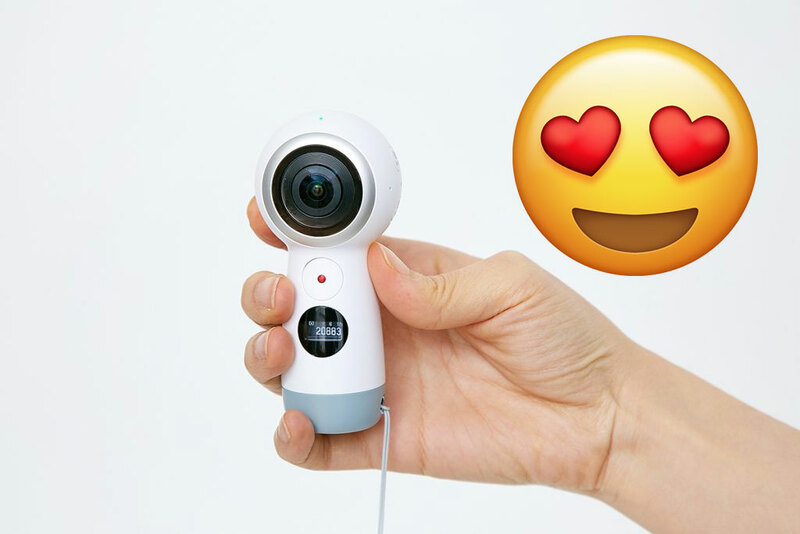 The Samsung Gear 360 2017 is the second generation 360 camera from Samsung. The first edition of this camera was the first 360 camera to shoot high quality 360 video at an affordable price, now the second edition – released in April – seeks to make 360 video mainstream. The new Gear 360 brought new features and a complete redesign, but has it met expectations? I’ve owned my Gear 360 for over 4 months now and it’s become my primary 360 camera (I own 8!). I’ve shot countless photos and videos with it and have well and truly put it though its paces. Is it a perfect 360 camera? No. Is it worth buying? Absolutely. Let me give you five reasons why the Gear 360 2017 is awesome. For a start, the camera looks pretty awesome. Kind of like a mini robot, what’s that one from Wall-E? Anyway, the camera is designed to be both hand held and attachable to tripods/selfie sticks. The elongated body makes using by hand easy, and the large shutter button is exactly where you need it to be. The manual controls are sparse but easy to use. Samsung’s mighty design team have a lot of experience in crafting tech that’s usable and attractive, and they have succeeded here. In case you didn’t already know, 4K is considered the benchmark for good 360 video. The Gear 360 2017 received an upgrade in the video department and can shoot slightly above 4K in 360, resulting in clear, sharp video. 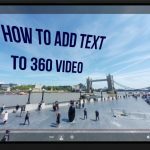 Check out my example below for the kind of footage the Gear 360 can shoot – and that’s with my poor film making and editing skills. For a camera of this price, it’s exceptional that it can shoot full 360 video at such a high resolution. Oh yeah, about the price…. 3. It’s cheap cheap cheap! The Gear 360 2017 is so cheap now. When it was released it was priced at around $250, which was pretty god value to begin with. It’s only been 4 months and the price of the camera has gone down to $170! That’s extraordinary value for a relatively new and advanced camera that can shoot in 4K resolution and livestream. You can even get the Gear 360 for free when you buy the latest Samsung Phone, although these offers come and go. Want to share your experiences in the most immersive way possible instantly? 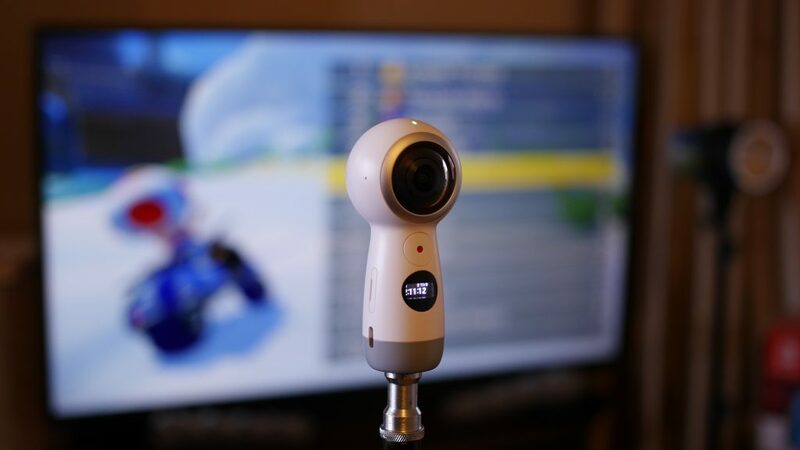 Now you can, just live stream using the Gear 360. The Gear 360 uses your phones internet connection to stream 360 video to Facebook, YouTube and Periscope. Setting up a livestream takes literally seconds and you can watch peoples reactions and comments and they come in. No wires required, just a connection via WiFi or 4G. Out of all my eight separate 360 cameras, the Gear 360 is the easiest to use. To properly use the camera you need to connect it to the official Gear 360 app, once you’ve done this the first time it will happen automatically every time you switch the camera on. 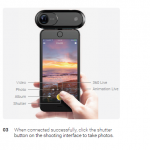 All 360 camera require an app to work properly, but most need to you manually connect every time. Not only this, but working out how to shoot video, photo and live stream is so simple a child could do it. You can then share your creations with Facebook and YouTube with a few taps of a button. So that’s my love letter to the Gear 360 2017. Like I said, it’s not perfect. It doesn’t have a removable battery and its photo taking ability isn’t great. To put it bluntly its not the best 360 camera out right now, but it’s the best value. If you are looking to dip your toes into the world of 360 content then the Gear 360 is the camera I would recommend.